Hanifah Yoong Yin Fah is not an Olympian, but his achievement in several sports, his contribution to sports, his role as a father of champions and his continued involvement in sports, certainly makes him one of kind. The 68-year-old whose parents are from China, is indeed a success story of another kid on the block to a well-known figure not only in world of sports, but as an entrepreneur who has virtually had a finger in almost everything and did well. Hanifah’s father, Yoong Wan Hoi, now 97, came to Malaya in 1933 as a 15-year-old and worked as a labourer before becoming a bicycle shop helper. Hanifah definitely got the ‘go get it attitude’ and businessman genes from his father who through sheer hard work and determination to succeed became a steel contractor before becoming a cinema seater supplier. Hanifah has touched base with so many areas in his colourful rise to prominence and each is a success story. However, Hanifah remains humble, down-to-earth and is still full of heart for sports. 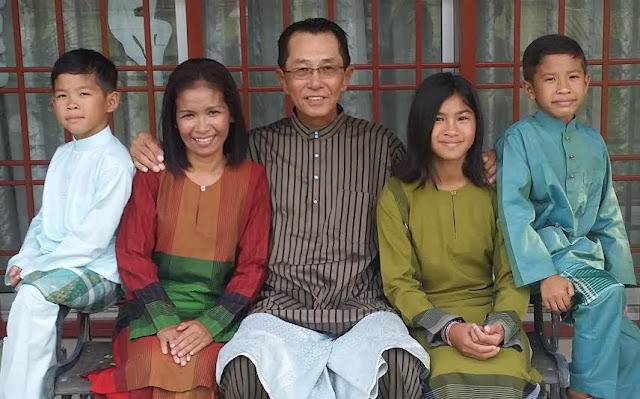 While the younger generation probably know Hanifah as the father of ex-Formula 1 racer Alex Yoong and waterski star Aaliyah, he himself is a star by all counts. Starting from his schooldays, Hanifah has had an interesting lifestyle which include being a hippie when we went to study in England. As a youngster he was a hyper kid and was uncontrollable. But Hanifah said that it was his school life which shaped him to be what he is today. “It was school life and my friends in school that has played a key role in what I am done and achieved,” said was a student of Methodist Boys’s School in Kuala Lumpur before joining the premier residential college in Malaysia – the Royal Military College (RMC). 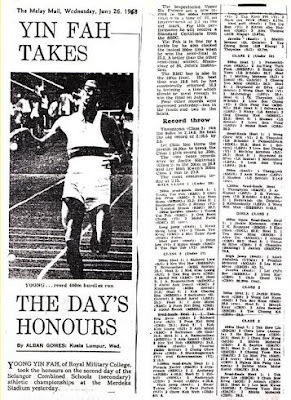 “It was his close friend Ganalingam (Tan Sri G. Ganalingam, the prominent businessman now) and the late Captain Mohan Chandran (who was killed fighting the communist and role model for Officers of the Ranger Corps) who gave me the first break when they encouraged me to join RMC because I was good in sports namely football, cycling and athletics,” said Hanifah who was the fifth in a family of six. Hanifah was equally a good student scoring 5As for his Lower Certificate Examination and 7As for his Cambridge Certificate. “I was a risk taken even then. When I did not know answers I would guess or write what I thought was write. I was lucky and got away with it,” said the modest Hanifah. Hanifah was a national athlete in the late 60s representing in the 400m hurdles and at state level for both the 400m and 400m hurdles. He was then rubbing shoulders with the likes of M. Jegathesan, Ishtiaq Muburak, A.S. Nathan, Zambrose Abdul Rahman and Cherly Dorall to name a few. “Jega shaped my mentality of a champion. He thought me about discipline, working hard to achieve anything and exposing me to the real world,” said Hanifah. During his school days, he was also active in rugby, football, hockey and swimming. His life in England for three years from 1969 when he attended the Regent Street Polytechnic saw him stray away which included being a hippie and but finally returned with an engineering diploma. He worked as an engineering and construction project manager and director from 1972 to 1985. Married to Joanna Bean in 1975, saw Alex and Philipa born. 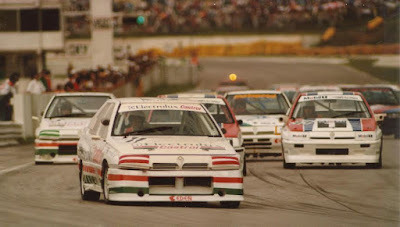 Hanifah was getting restless and in 1978 decided to try his hand at motor racing for the fun of it and started off by buying a Volkswagen Golf to race. It turned out to be his next vocation and before he knew Joanna, Alex, Philipa and he were all racing as a family. 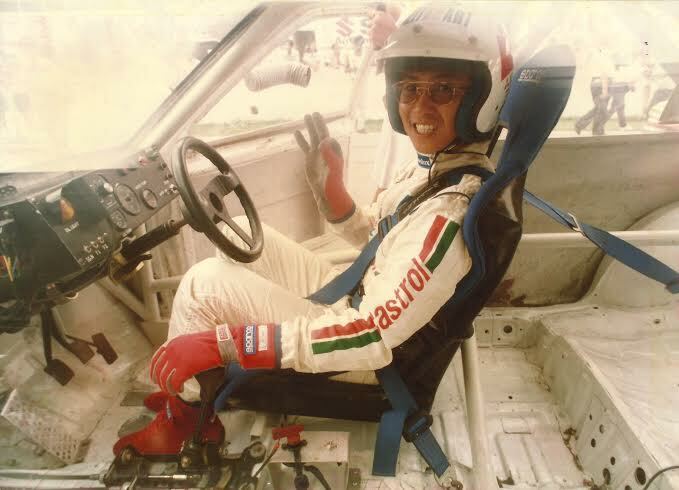 Hanifah himself was involved in motor rally for eight years (1981 to 1988), was the Malaysian Super Saga champion in 1991, has 18 wins in Production Car races from 1979 to 1994 and competed in the Macau GP in 1987 and 1988. While working hard to realise Alex’s and Malaysia’s dream seeing a first Malaysian F1 driver make history, his involvement in the motor racing sports was no less insignificant as he motor racing in the country a lifeline. Among them include managing the Batu Tiga (Shah Alam Racing Circuit) with his family as venue managers and leaseholders of the venue. 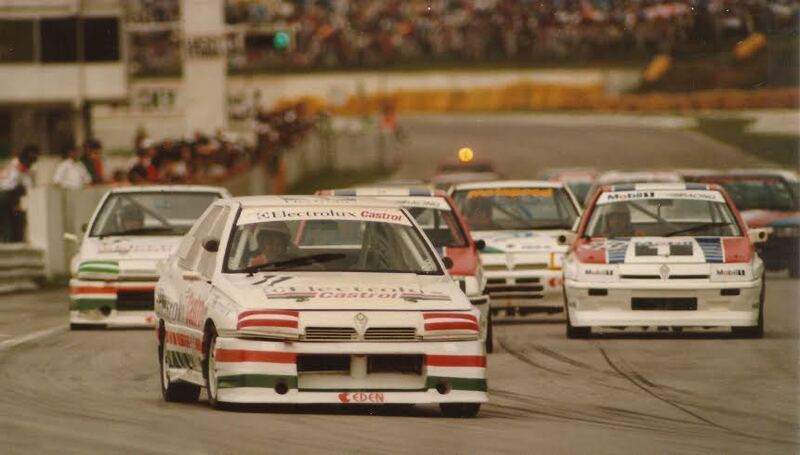 He secured the circuit in 1988 for RM12,000 to redevelop the circuit into a world championship circuit. The contract ended in 1998. But more significant was the moving of illegal racing to a circuit and his implementation of the ‘Saturday Night Fever races’ was an instant success. Hanifah’s ties with motor racing is countless but to name a few include event director of the FIM World Motorcycle Grand-Prix from 1991 to 1995, promoter and rights owner of the 1991 FIM World Motorcycle Grand Prix and organiser from 1992 to 1997, organiser and clerk of course of the Rally of Malaysia from 1984 to 1989, event director for FIM World Superbike championship for two years (1990-91) and the formation South East Asia’s first ever single seater series in 1994 to 1996. Hanifah had also tried his hand in promotion of events like the Walt Disney’s World on Ice Extravaganza from 1993 to 1995, promotion of the Royal London Circus nine months tour of Malaysia in 1991 and was organisation support for the Sarah Brightman, Alica Keys, Blue, Hoobastank and Andy Lau concerts from 2003 to 2005. His sports portfolios include advisor to Malaysian Motorsports Organisers and Competition Association - MMOCA (2001 to present), honorary secretary of Malaysian Motor Sport Club (1982 to 1990), president of MMOCA president (1996-2003), Executive Board member of International Water Ski Federation - IWWF (1993-1998), vice-president of Malaysian Water Ski Federation (1999-2003), current head coach of the national water ski team and IWWF World Cup Event director. “My engineering and construction experience of handling a professional and skilled work force of more than a thousand personnel brought me invaluable organisational experience which I applied to major sporting and entertainment events,” said Hanifah of his multi-talented ability. Waterski is not new to Hanifah, for as early as 1988 he was already operating a water ski outlet at Taman Desa till 1995, which was managed by Alex and Philippa. Both Alex and Philippa were also national water skiers. Hanifah, a scholar of religion, born a Buddhist converted to Islam in 1996 on his free will. He married his second wife, Norzeela Sulaiman, more popularly known as Nozie in 2002. It is Hanifah’s ambition to mould another champion in Aaliyah. “Whether she becomes a world champion is left to be seen. But I will do whatever it takes to give her the platform to achieve it,” said a proud Hanifah. Adam made his Southeast Asian Games debut in Singapore last month together his two older brothers — the 38-year Alex and Aiden. Aaliyah is an old hand, having won her first Southeast Asian Games gold medal in waterskiing at the age of eight in 2011. She's ranked No. 1 in the world for her age, and No. 5 among all women's waterskiers in the Under-17 category. Hanifah, Nozie and Aaliyah are survivors of the 2004 Tsunami when they were holiday in Phuket. “That experience was a nightmare and it is a miracle we are alive. We have all been given a second chance to live,” said Hanifah of the dreadful experience where he was separated from Nozie and Aaliyah for almost 24 hours. “Life is so fragile and I am thankful that I have been given a second chance and that it why I have dedicated my life to my family. “It is through water ski that we are always together. “My life has been one roller coaster journey and I fear death. That is why wealth is not important to me. Whatever little I have, I have written it all for my family. “We earn money through our water-ski business, but we also channel it back to the sports for development,” said Hanfiah who manages to promote water ski at the Putra Jaya lake with an arrangement with the Putrajaya Corporation under his company Waterski & wakeboard World Cup Sdn Bhd. Hanifah was responsible for bringing the World Cup to Malaysia in 2008 and also responsible for the revival of water skiing in Malaysia as a viable sports from 1990 to 1997. “In different phases of life, my friends from RMC have played a key role in assisting me and I am forever indebted to them. 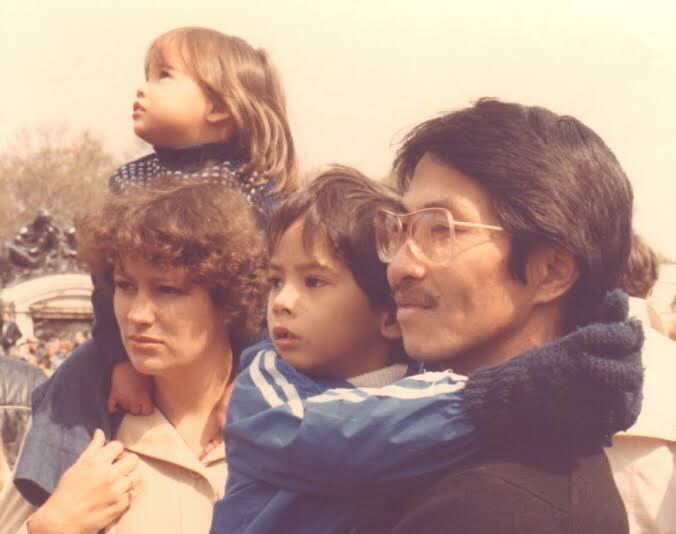 “Looking back, through one family I saw them excel in motor racing. With my current family I want to see them excel in water ski. Indeed the Hanifah family has given many proud moments to Malaysian sports thanks to Hanifah and his passion for sports and taking it to excellence level.